Batman: Arkham Origins - UnrealEngine3 Cheats and more..
Added ToggleHUD option. Use it with NumPad *. 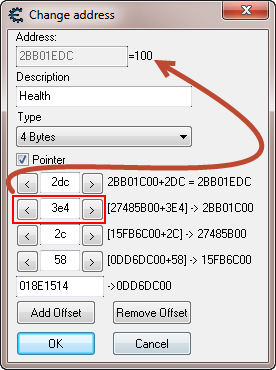 Also, the No Combo Reset script, toggleable with NumPad /. Changed the hook spot for the EPhysics. Previously to this, I was using a location where, if you had unlimited ammo on, this would refill only when walking or flying. Now it works in any situation: removes the need to release RMB when firing disruptor, for instance, or dropping smoke pellets when fired at. Added Upgrade Points and Experience to the [Utils] sub-section. Pointer paths, no hooks Wink Enjoy! Added Shock Gloves. Toggle activation with Numpad 6. Once activated, you will probably see the mid-screen LMB+RMB message to turn them on. Do so. If you don't see the message, press the clicks anyway. Value will not decrease if idle or hitting enemies. If you want to turn it off, hit Numpad 6 again. Note that option won't work till you acquire the gloves (it's not a 'give gloves' option). Also, when performing silent takedowns, the gloves are automatically disabled. I didn't look into UE3's code for this, but if it happens, hit Numpad 6 two times (deactivate, activate). Fixed Unlimited Ammo. Path was invalid during cutscenes. Please redownload. Tweaked God. When you restart a map and have God enabled, it will automatically set the switch. Before this update, you would have to tap Numpad 5 two times after a map has loaded - once to disable it, twice to enable it. Fly speed increased to 2500.
b. Run B:AO and get in-game. c. Select game process (BatmanOrigins.exe) from the processes list. - Player Scale: Change Batman's scale using the appointed float value (default is 1.0). - Player Health: You can see your current health, in case you want to update it or something. - Coordinates: Figured I'd show them in case you want to mark some locations in the game. - Current Weapon: Shows the base pointer for currently selected weapon. You can further play with structure, altering the Clip, MaxClip and disabling the timers. For example, freeze Clip and set ActiveCooldown to 0 or -1 (then freeze it). If you set CooldownTimer to 0 or -1, you will notice that you shoot faster (e.g. : the 1/4-keyed Batarangs). This has to be done for each weapon, manually, till I release an update. - Shock Gloves Timer: To work this, switch to Disruptor weapon. Look at 'Current Weapon' and note the address displayed as value (e.g. : P -> 26720E60 / 4 bytes / 28EF7D00). Then from 28EF7D00, subtract 124. "Plant" this address in the 'Shock Gloves Timer' address field, set value type to float, change value to 50 and freeze it. You will see the Shock Gloves charge up to full bar and you can activate them with the LMB+RMB. Since value is frozen, they will not deactivate. Unless (tested for now) you silently takedown enemies. Report feedback on this. - [Combos] subsection: This is adapted from Cielos' table. Full credits go to him for finding out the leveled path! Simply play with the values you see listed here. I'll make a script for weapons, ammo, timers soon. This section contains the Cheat Handler. You are supposed to activate it and use the hotkeys below. - SloMo: Use Numpad 7, 8, 9 to set SloMo to 0.5, 1, 1.5 values. Default value is 1.0 on float. Note that any fight event resets value to 1.0 (it's scripted that way). - PlayersOnly: Use Numpad 1 to toggle it. You may notice Batman's cape will glitch. Haven't gotten to fixing it yet. I'll have to hook all locations accessing this switch and filter out the cape. Soon. - Ghost: Toggle it with Numpad 3. Option disables collisions, but doesn't render you invisible. It can be used without Fly, in case you want to step through a door or grate (e.g. : Black Mask's gas container behind the grate that requires shock gloves). - God: Toggle it with Numpad 5. You already know what this does. DO NOT TOGGLE THE SUB-OPTIONS MANUALLY! I've put them there for display, so when you alt-tab out to know what is active or not. Batman's health, when any of the armors are not depleted, is 100. You'll know you've found the right one when you see 100 while scrolling left/right on the arrows. You will have to "plant" the same offset in God (for now). I will be updating this thread with the script you've all been accustomed with in other UE3 games. Re: Batman: Arkham Origins - UnrealEngine3 Cheats and more..